Forgetting about the alarm clock, sleeping more than usual, spending the day lounging in bed… Sundays are meant for slowing down, but if you want to take advantage of every minute you have left during your weekend in Barcelona, in addition to visiting its most famous monuments you will also have endless options that you can only enjoy during this day. There is something for everyone: for children, couples or people who do not want to spend a lot of money. Discover the best things to do on a Sunday in Barcelona and choose the one you prefer to make your weekend perfect and forget that tomorrow is Monday again for a few hours. On a Sunday in Barcelona there is nothing more traditional than to “do the vermouth” (in Catalan, fer el vermut) on any of the terraces of the city. It is said that it was the well-known Bacardí company that, after buying the Italian Martini, made it fashionable to drink this drink along with an appetizer before Sunday lunch; so much that it has practically become one of the typical drinks to try in Barcelona. Each neighborhood has its ideal squares and streets to indulge in this tradition. While in Sants Plaça d’Osca hosts the most visited places, Poble-sec hides Plaça del Sortidor and the people of Sant Andreu head towards Plaça de Masadas, some of the most popular taps of this beverage are found in Quimet i Quimet, bar Papitu or bar Electricitat in Barceloneta. On the other hand, if you need to fill up a little more than just on the small tapas that accompany vermouth, you can always try the best places for brunch in Poblenou. In addition to these, we recommend Picnic, in the El Born neighborhood, The Benedict, in the Gothic Quarter, or Milk if you want a good American brunch. If you have not had time to party during any other day of the week, a good idea is to burn the dance floor on a Sunday afternoon. Yes, one of the best things to do on a Sunday in Barcelona is precisely to attend one of the lively parties that are organized in the Catalan capital. Every first Sunday of the month, Apolo opens its doors to one of the most popular parties in the LGTBI scene. Churros con chocolate parties (popularly known as Choco-churros) present a different theme every month, an array of the most daring games and many special performances. And in between shows, you will enjoy the most popular pop music in recent years, starting with 80s beats and ending with the latest hits. 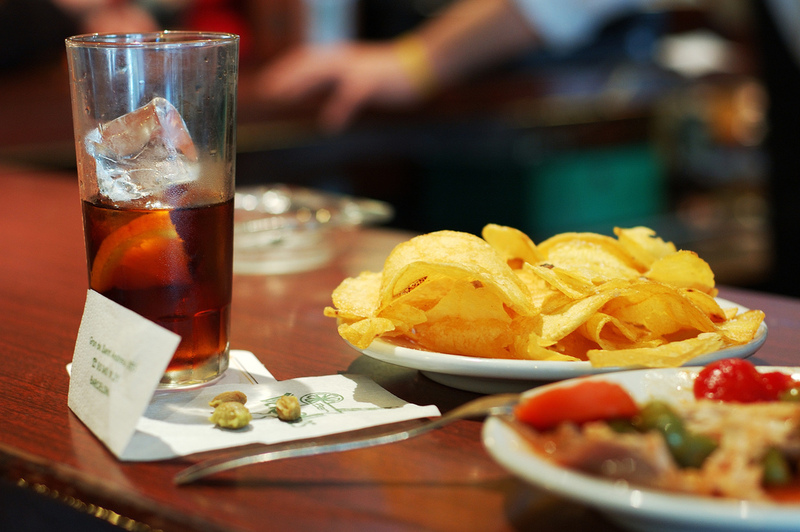 One of the first to begin this type of initiative was Ventú, ideal to combine the vermouth with a dancing session. Sundays at noon have a special rhythm thanks to the bands that liven up the day. Although it is often celebrated outdoors, you should make sure you find out where the next edition is organized since the location is not always the same. What is certain is that it is always celebrated on the third Sunday of every month. Depending on the time of year you will find ‘Brunch in the Park’ or ‘Brunch in the City’. The first is held during the hottest months in the Joan Brossa gardens and is an excellent opportunity to listen to the best DJs from the global electronic scene in a very diverse environment, with a dance floor and a chillout area to relax or eat some appetizing dish from the food trucks you will find within the venue. If you like the mix of electronic music and sun, this is your party. Techno-house is king here. Held in a secluded area away from the city center, hundreds of young people travel here every Sunday, ready to dance until the sun goes down. One of the most anticipated events for second hand treasure hunters is this market, where you will find all kinds of products, including movies, furniture, clothing, decorative elements … it’s basically a vintage paradise. 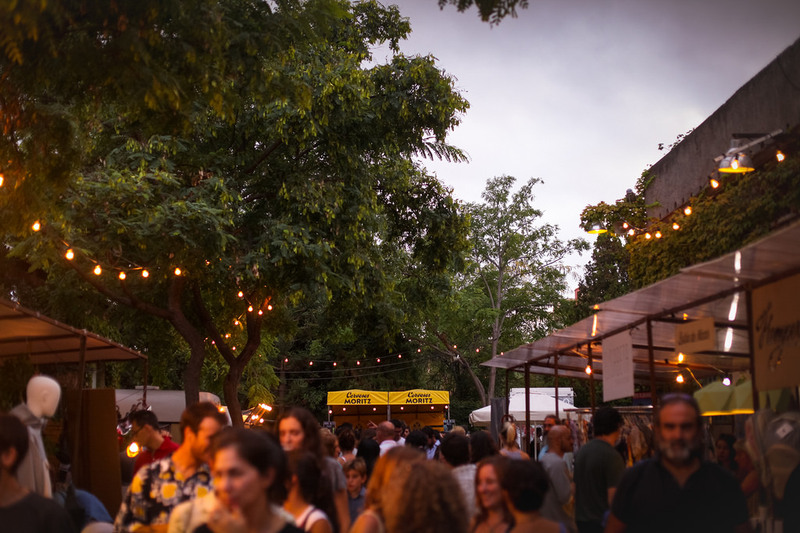 In addition, the best music of yesteryear and the classic food trucks will make this day complete, in such a unique environment as the Nau Bostik, one of the places to visit in Sant Andreu. The trendiest out of all the markets of Barcelona is this one that is celebrated during the first weekend of each month. Around an old factory in Poblenou, very close to our very close to our family apartments in Barcelona, you will find outdoor craft shops, designer items, live music and, obviously, food stalls for your takeaway meals. Celebrated for the first time in 2007, this monthly market specializes in any type of second-hand product, from an old phone to a 1950s dress, here you will find everything. You can enjoy this organization twice a month, the first Sunday of the month behind the Maritime Nuseum under the name Fleadonia and the second Sunday at Plaça de Blanquerna with El Flea. We end this list of Barcelona Sunday markets with one of the oldest activities for a Sunday in Barcelona. This is a market dedicated to second-hand books and the exchange of cards, which has been held around the neighborhood market since 1936, heir to the former Bellcaire Fair. 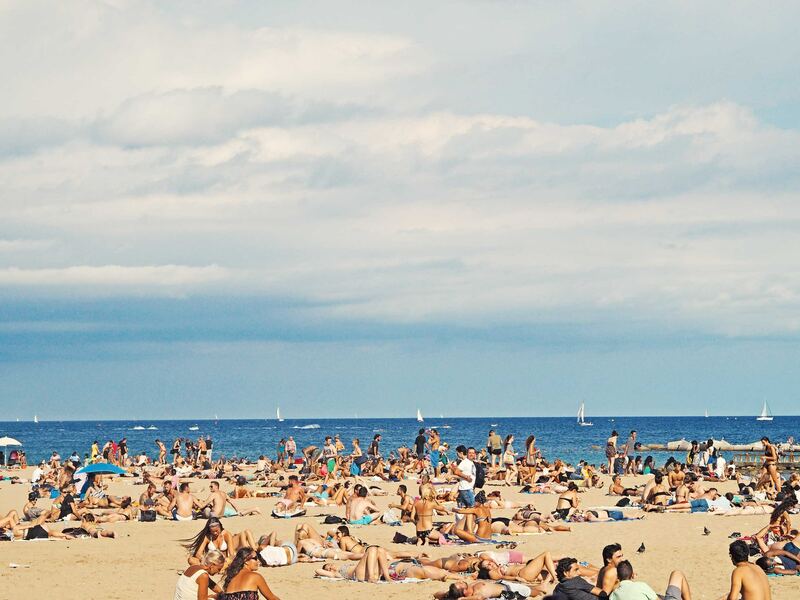 One of the most obvious is to visit one of the 10 beaches of Barcelona. There are many to choose from, starting with the always busy beach of Sant Sebastià to one of the less crowded ones like Nova Icària, in the Poblenou neighborhood. If you have time, you can also leave the capital to go to other beaches on the Garraf coast, such as Castelldefels beach or Gavà beach, just over half an hour by train. Did you know that some museums open their doors for free? Some, such as the MNAC, the Picasso Museum or the Blau Museum are free on the first Sunday of the month. On the other hand, on all Sunday afternoons you have free admission to the CCCB, the Maritime Museum, the Ethnological Museum and even the Montjuïc castle, so you also have great array of more educational activities for a Sunday in Barcelona. This Catalan popular dance has an unknown origin, although the first references to the sardana are found in 16th century texts. It is a dance that is done in a circle, with its participants holding hands while tapping their feet to the rhythm of the cobla, a musical formation that will play traditional music. 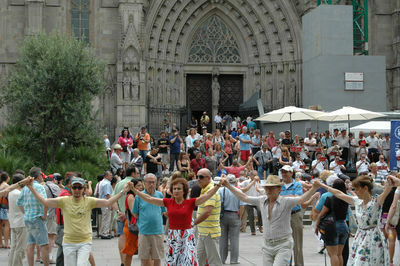 If you want to see it live, you can do so every Sunday at 11 o’clock near the Pla de la Catedral, as many sardanistas meet here to dance in the center of the square. Taking advantage of the weekend until the last second has its rewards in Barcelona. Enjoy a perfect sunset at any of the city’s viewpoints. From the well-known Carmel bunkers, the Turó del Putxet park or the Coll d’en Portet, in the middle of the Collserola mountain range. Hundreds of people get to Plaça d’Espanya pretty early in the afternoon to find a spot on Avinguda Maria Cristina and the MNAC stairs to have a good view of the fountain and enjoy the show. It is an attraction in which music, water and light come together in an amazing choreography with more than 7,000 combinations. Don’t know what to do as a couple in Barcelona? Here are some of the most romantic suggestions for an ideal Sunday. The amount of green areas in the city is amazing, without a doubt. From the incredible mountain of Montjuïc, where you will find several parks with views of the city and the sea, even some of the most hidden ones, such as the Tamarita garden. You can choose between the top 10 of the most beautiful parks in Barcelona, such as the Park Güell, the Cervantes Park or the Botanical Garden. Being one of the highest mountains in Barcelona, in addition to the great views you will have, you can spend a romantic day with your partner here. What to do in Tibidabo? You can visit the amusement park, which is also a great choice if you travel to the city with children and ride the Ferris wheel. Another option is to visit the small church that crowns the peak or dine under the stars in the Observatori Fabra. If you are a couple who are into sports, one of the most interesting plans is to practice the one you like most. 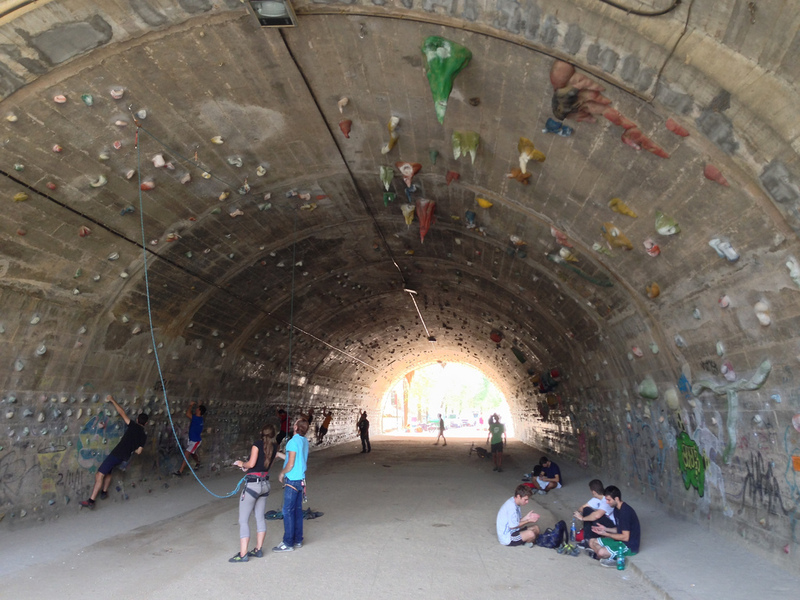 You can climb at La Foixarda climbing wall or practice skating by the beach or the skatepark at the Forum park. Another activity that is perfect to get to know the city in a healthy way is to try some of the best cycling routes in Barcelona. The theatrical billboard in Barcelona has nothing to envy to other large cultural centers of Europe. In addition, the amount of theaters that you will find a very varied offer of musicals, dramatic plays and others. The Liceu, the Tívoli, the Coliseum… we are sure you will love them. If you have found the activity you like most on our list of things to do on a Sunday in Barcelona, do not hesitate to share your experience with us or propose alternative plans with the rest of the readers.